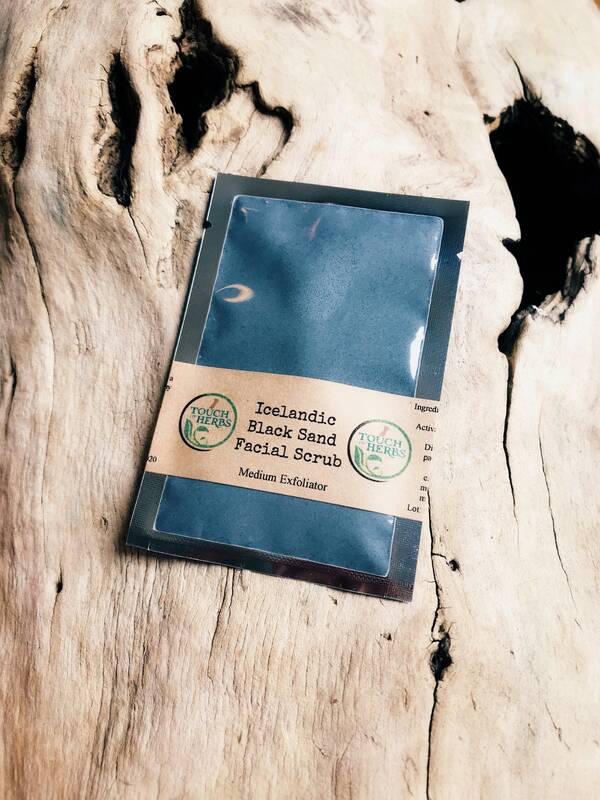 Icelandic Black Sand comes from a volcanic beach on the South Coast of Iceland which makes our Single Use Face Scrub a very special and unique experience. It’s a medium exfoliating Scrub that will leave your face feeling like new. Yes , it actually does feel like a brand new layer of skin emerged from the deep surface . Like with every scrub please go gentle and do not over scrub. There are so many benefits as to why you should incorporate exfoliating to your beauty routine. 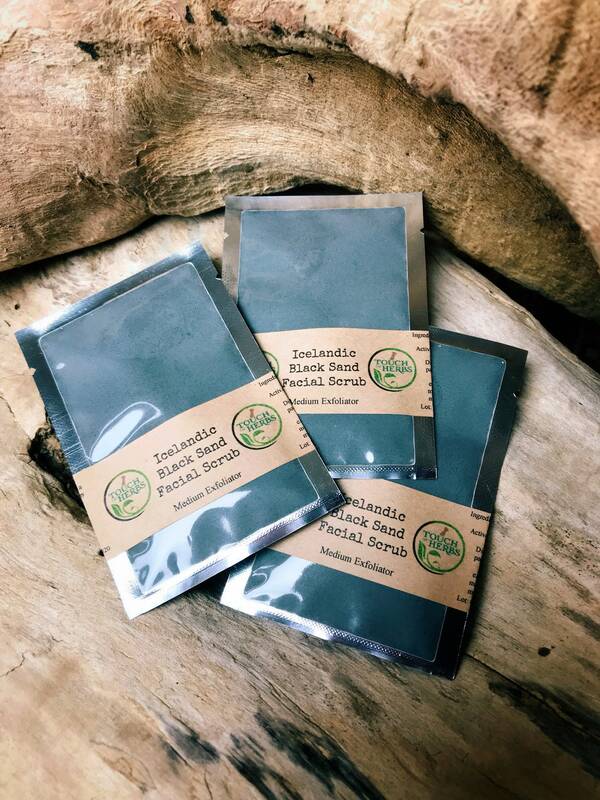 When you exfoliate regularly you help remove ingrained dirt, old dead skin, and improve the over all look of your face. When you gently scrub away the old flakey skin, you reveal a more soft and smooth looking skin. One that looks revived! Use warm water to clean and wet your entire face and neck. Massage your face and neck gently with the facial scrub for one minute. Rinse the scrub completely with warm water off your face. Dry your skin and use your preferred moisturizer. Use the scrub only once or twice per week. For external use only. Keep out of the reach of children. Discontinue if rash or irritation occur. Always consult a physician prior to using any new product. Avoid contact with eyes or lips. Avoid contact with clothing. Very excited to gift this. As described. Quick delivery. Thank you.